I am completeing my very first GST/HST Return using the Quick Method ..... urgh I need help! please! Is there a site out there that has a line by line example on how to fill this out? I have pulled a GST/HST Return Report from QuickBooks® ... how do I apply that to the QuickMethod? A BIG thank you in advance for any help you can give. At the very end of the publication, just before Appendix A, they walk you through a line by line example of how to prepare a GST/HST return using the Quick Method. P.S. For those who want to start or stop using this method, you must file GST74 Election and Revocation of an Election to use the Quick Method of Accounting with CRA. I give an overview of the Quick Method in my chat on HST GST Registration | Alternate Filing Methods. Follow the link to The GST HST Quick Method Rates to see how the calculation works and what rate you should be using. There was another part of the question I didn't answer initially ... as I needed to do a bit of research. Gary Timmons, CA discusses how to calculate and record the Quick Method using QuickBooks on his website. Mr. Timmons explains that Quick method users do not claim ITC on expenses ... but a percentage of the GST collected instead. The exception is capital asset purchases ... where you are allowed to claim the GST paid for furniture, computers and equipment. Here are his instructions (italics are word for word from his site). 1. Complete the return as you would a regular return. His website explains how to do that. Calculate the portion of GST that you keep by multiplying line 103 (I think this should be line 101 your sales figure) by 2.4%. This is the adjustment amount. My note - you need to adjust the 2.4% rate to your rate which may be different but the amount is basically sales x 5% (line 103) - sales x (your quick rate) (line 105) = adjustment amount (line 104) plus any credit adjustment you are allowed (line 107). Edited September 2010 to add: I'm guessing the 2.4% Ontario adjustment rate is calculated as follows - (5% - 3.6% + 1% credit = 2.4%) so if you are using this after July 1, 2010 the calculation would be (13% - 8.8% + 1% credit if it applies = 5.2%). If you are following CRA's instructions, the 1% credit should be reported on line 107 not line 104 so you may want to adjust these instructions to accommodate that. Mr. Timmons next reminder was that once your total sales are over $30,000 you get to keep an additional $300 each year. To enter this adjustment, he again recommends Press the adjust box beside GST collected a second time and enter $300 (once per year). See Taxteller's notes below and my note above about reporting this on line 107. You are absolutely awesome! Wow, thank you so much. My forte is Payroll actually so when it comes to bookkeeping I am still unsure of some things. Your website and quick responses make my learning curves easier and so much enjoyable. 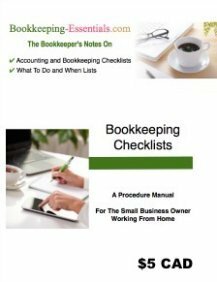 I am including a link on where -- how to record the bookkeeping entries for GST/HST -- is found on this site ... just in case it is useful to anyone. It is located in a sidebar chat found in "The System" section titled Small Business Bookkeeping and Accounting Software. the bookkeeping entry when you receive a refund from CRA. So how would you figure out the new HST in BC as right now we have 7 percent PST and 5 percent GST? The 3.6 percent quick rate doesn't work for BC HST??? As far as I know, the Quick Rates for BC HST have not been announced yet. You may be interested in a January 2010 article by Ron Osborne published on The Province website. It explains that place of supply rules have increased the complexity of using the Quick Method so that registrants will be allowed to elect to stop using it effective June 30th. Once the election is made, HST registrants will revert to calculating their HST in the ordinary, less complex method of tracking their ITCs while doing their bookkeeping. If I did a small service contract for the Fed Gov't as an sole proprietor (~$20,000), do I submit the full GST, or can I claim the 1%? I thought government organizations were exempt from GST and therefore you wouldn't charge it when invoicing them ... which means you don't collect it. I also thought the Quick Method was only available to small businesses with taxable sales and supplies ... including zero-rated supplies ... of less than $200,000. This excludes exempt sales and services. If you don't collect it, I am fairly certain the exempt sales would not qualify for the 1% credit ... and if all your sales are exempt, it may mean you are not eligible to use the Quick Method of Accounting. In CRA publication, RC4058 Quick Method of Accounting for GST/HST, it states that "if you make a supply of a good or a service that is not eligible and you charge 5% GST, you have to report the full amount of tax charged instead of using a remittance rate." This means you have to make an accounting as if the election for the Quick Method was not in place. However, if your contract calls for you to charge GST, then I assume you would be eligible for the 1% credit if you file using the Quick Method of Accounting for GST/HST. tax return preparation services or tax consultants." Your other option would be to give CRA a call. I am always puzzled as to why businesses choose the Quick Method ... because it always seems to me it is more complex with all of its rules than just doing a regular accounting of GST/HST by tracking your input tax credits ... but maybe that is just me. Thanks for the reply. For clarification, it was a service contract (data crunching) and GST had to be, and was charged. Best if I call CRA to clarify. GST/HST remittance rates for business registrants using the Quick Method of Accounting have been released by the Department of Finance. It includes the GST/HST rates for the Quick Method in BC and Nova Scotia effective July 1, 2010. You can find it at on the Department of Finance website at Publications and reports > Harmonized Sales Tax Rules for Financial Institutions, Interment Rights and Streamlined Accounting Methods in the document called HARMONIZED SALES TAX RULES FOR FINANCIAL INSTITUTIONS, INTERMENT RIGHTS AND STREAMLINED ACCOUNTING METHODS. Go to Appendix A for the rate table for all provinces. My Quick Method rates table will be updated shortly. As of July 1, 2010, under HST, sales to provincial government are no longer exempt. They will now pay the HST upfront on all their purchases ... and claim a rebate for the eligible HST amounts. Businesses will no longer have to separate government purchases. Also note that foreign representatives are not exempt from paying GST/HST. You must invoice and collect it from them ... even if they show you a diplomatic ID card. Quick Method net proceeds - taxable income? I use the Quick method to account for GST. At the end of the year after I pay the GST owing, I end up with a net gain, or "cash in the bank". Is this "cash in the bank" considered taxable income? If the net gain or "cash in the bank" you are referring to is related to the net profit from your business ... then it is taxable. You report this on Schedule T2125 of your T1 (personal tax return) if you are a sole proprietor. I have a series of articles in The Tax section on what deductions are available to the sole proprietor. If not using the QM, I owe all GST payable after subtracting all GST paid on expenses. Net to my company is zero. With QM, I do not track individual GST on my expenses and after calculations I end up with an amount in my GST payable that stays in my company. The purpose of this amount is to 'compensate' for the GST that I paid on my operating expenses but did not claim as ITC. Essentially I am deducting GST paid on expenses from my income. And when I include as income the amount that the QM calcuations leave in my company (GST Payable), then 'ideally' it would be a wash. If not a wash, it should be a small amount either way. If it is a large amount to my detriment, then I should stop using the QM. If it is a small gain, then it is taxable income. Does that about sum it up right? I'm going to chat about some stuff ... then I'll respond to your post. FYI-I have never used the QM. It just seems more complicated than tracking the actual tax. Referring back to "cash in the bank" ... keep in mind there is a difference between net profit (loss) and cashflow. As a small business owner, you are taxed on net profit NOT cashflow. Generally, most small businesses will pay less tax in total if they are GST HST registrants because they can claim their input tax credits (ITCs) ... making the GST HST neutral to small businesses. Net to my company is zero. The GST should have no effect on your income statement. It is normally tracked on a balance sheet as a liability. I assume small businesses choose the QM because they don't keep up with their bookkeeping. So a QM "income statement" will include GST collected on sales and GST paid on purchases. Any GST amounts reported on line 105 or line 108 during the tax year are backed out of the T2125 figures ... in effect removing the GST already reported. With QM, I do not track individual GST on my expenses. Yes that is my understanding. ... after calculations I end up with an amount in GST payable that stays in my company. The amount remaining in the account after GST owing is paid to CRA should be a debit ... but yes. This amount represents the ITCs reported and returned to you on your GST return. The purpose of this amount is to 'compensate' for the GST that I paid on my operating expenses but did not claim as ITC.Yes, the amount represents the inferred ITCs determined using the QM. It is not taxable as it a recovery of tax paid on purchases. Essentially I am deducting GST paid on expenses from my income. When I include as income the amount the QM calcuations leave in my company (GST Payable), 'ideally' it would be a wash. If not a wash, it s/b a small amount either way. If it is a large amount to my detriment, then I should stop using the QM. If it is a small gain, then it is taxable income. You may leave some ITCs on the table when you use the QM because it is estimating your ITCs. You will never receive a GST refund using this method. In theory, you are right it is a wash. However, depending on your business, it may not be. The GST paid on purchases that was recovered when you filed your GST return is not taxable income. It is a recovery of tax paid. This is why GST is a "better" tax than PST ... it is tax neutral to businesses because unlike PST, GST removes tax cascading and double taxation. Thank you very much for your detailed comments! I still don't know what my rate is and it's Sept 24 2010. I called HST cra today but the phone number (on the web site and on the form is the same phone number) is out of order. Anyone know the answer? I calculated it should be around 8.64%. But around is not accurate. Check out the July 2, 2010 post. Click here to find the BC Quick Method rates. Make sure you read the information on the new place of supply rules (page up from the above link) to see if the new rules affect you ... as it may affect the rate or rates you report. How to prepare GST/HST return in Ontario for services (3.6% remittance rate before HST, and 8.8% after). Lets say that in 1st 6 months was $50,000 total sales, include GST; and last 6 months $50,000 total sales, include HST. Sorry I can't say if you are right or wrong. The calculation you present looks okay but I have no idea if you have followed the new place of supply rules that came into effect on May 1, 2010. If you have sales outside your province, the Quick Method is not "quick". You need to track each Quick Method rate group. From your calculation, it looks like all your sales are for service not product (as you said) and all services were to Ontario residents which infers you had no out-of-province customers. I also can't tell if you followed the transitional rules in effect for May 1 to June 20, 2010. Some of the sales during this period may attract HST not GST. I need to say again to my visitors ... I have never filed a Quick Method return so if you are not sure you have done this correctly, check with CRA or your accountant. I find it is much simpler to do your books on a regular basis and track the actual track . Yes, you correct: services only in Ontario, and transition rules are respected (when "invoice" issued before July 1, but money arrrived after, etc). Thank you again for quick post. first 3 month period: 25000x12%hst(charged)=3000+25000=28000=Revenue. 28000-2000=26000x8.3%=$2158+143=2304to be sent for hst. 3rd and 4th are the same.28000x8.3%=2324 for the 3rd and 2324 for the 4th period. All expenses gas,office,etc you use the full amount+hst for the expense. Of course any large items you have bought that would go on your capital cost allowance you get the full Hst back. Hope this help someone out there!! Thanks so much for your example. I'm not sure your 8.3% rate is correct. Did you mean 8.2%? Anonymous's example (and CRA's) shows that on your sales line you include your GST/HST collected just like our previous poster did. I think you are also saying the GST or HST rate in effect for your province or territory at the end of each tax year is applied to the whole year. If that is true, do you have a reference from a CRA publication I could use as this makes a big difference in the amount to be refunded? For more explanation, visitors can see CRA's examples in publication RC4058 Quick Method of Accounting for GST/HST. I never knew about the 1 percent credit on the first $30,000! Can I collect for previous years? Can we claim part of the 1% gst/hst credit if we make less than 30k total? Thanks very much! I am looking for help to get a GST/HSTrefund or how to adjust my GST returns for my corporation. Let me explain to you first. I opened a corporation account with CRA in 2009 Nov and I filed GST/HST using regular method for three (3) quarters. 1. Nov to Dec 2009 Paid GST Using Regular Method. 2. Jan to Mar 2010 Paid GST Using Regular Method. 3. Apr to Jun 2010 Paid GST Using Regular Method. Note: I paid all the GST to CRA without deducting a cent. (e.g I made sale of 10,000 and GST was collected $500 whereby I paid CRA the full $500 without deducting input tax credits). And now I am usiing Quick Method since the opening of my business. I spoke to CRA and they said, "You overpaid and you have to file an amendment". Does anyone have experience on how to file an amendment and get the money that CRA owes me? To amend a prior period GST/HST return, you must submit your requested changes in writing to CRA. CRA does not owe you any money if you were the one who didn't file your return properly ... I would say it is more correct to say "You left money on the table" by incorrectly filing your paperwork. However, you are eligible for input tax credits ... but you have to inform CRA what those input tax credits are. Normally you would have done this on line 108 of each GST/HST return. See how you should have completed your return here. Usually, you have up to four years to claim an input tax credit. Minor adjustments are done on the following GST/HST return on line 104 or line 107 ... whichever is appropriate. I am confused when you say, "Now I am using Quick Method since the opening of my business." That isn't possible if you filed three returns using the regular method ... also you have to make an election to begin using or ceasing to use the Quick Method of Accounting for GST/HST. Yes, my accountant filed an election to change GST/HST from the regular method to quick method. Now, I have to submit my Jul-Sept and Oct-Dec 2010 HST returns. Can I adjust the amount there? P.S. I am not getting any help from accountant. As you missed all of your ITCs for three reporting periods, my choice would be to re-do the returns properly. Clearly mark AMENDED on them. Then write a letter to CRA explaining the problem with the amended returns attached to the letter. To do this, you are going to need to bring your books up to date ensuring you are tracking the tax. To track the tax, you will need all your receipts and proofs of payment ... pay particular attention to the section on "What is not a legitimate receipt" which follows the link above. If you can't or don't want to do this ... and your accountant doesn't offer bookkeeping as a service, then hire a bookkeeper to bring your books up to date so you can file the amended returns. Is it the same rate for entire year? What about a GST/HST return filed on annual basis? Do we use a flat rate for the entire year 2010, or do we need to use one rate for Jan - Jun and a different rate for July - Dec? 1. Record expenses - should it include HST or not? 2. Record the remaining portion of the sales tax that is not remitted to CRA - For example, I collect $130.00 in HST and forward 89.44 to CRA. $40.56 is the difference (130.00-89.44=40.56)? I have called the Canada Revenue Agency but they don't have proper answer. Every agent gives me a different answer. If anyone has experience with the GST/HST Quick Method, please let me know. I want to start by saying I have never used this method of reporting sales tax. 1. As you can't claim ITCs, this would suggest to me that you report your expenses either including the tax OR create an expense account called Sales Tax so you can track it separately to determine if this method of reporting is costing you money. 2. It is my understanding that you would record the amount of GST/HST collected that does not need to be to remitted to Other Revenue or Sales Tax Revenue or something similar. You will find other information on how to report using this method in the above posts. Hi can someone help me with following? GST/HST collected MINUS (Sales + GST/HST collected) multiplied by Quick Method remittance rate". The above means that the ITC calculated by Quick Method is added to my total Income and Taxed. How can they tax me on ITC which is actually my expense? Take a look at the equation again. They are saying the portion of the GST/HST you collected on sales but did not have to remit is taxable income. I opened my corporation back in Nov 2006 (IT consulting). My accountant sent an election to use the Quick Method to CRA (I have a copy of that request) on Nov 10 2006. Over the next 7 years I reported quarterly my GSH/HST using the Quick Method. I had times when I was receiving a credit from CRA as I overpaid (my returns are marked as: processed –no notice; assessed; reassessed). On June 13 CRA sent me a letter asking if I am using Quick method as they have no evidence of GST74 election on my file. I went back to 2006/2007 and was not able to find any letter from CRA that acknowledged they received the election filed by my accountant. I did find the invoice where my accountant charged me $450 for filing all the elections with CRA. I called CRA, explained that I am using Quick Method since inception and they processed my returned and mark it as "Adjusted - no notice". I also called CRA to inquire about why my election is not on my file and they asked me to send a new election dated July 01, 2014!! that makes me passible to pay GST different for all these passing years. What would you recommend to do next? I changed my accountant in 2008, and while she sent me a copy of the election filed back in 2006, she is no longer responding to my emails. Please let me know what should I do next , as I the last thing I want to do is to fill a new election w July 1, 2014. Thank you. You need to speak with your current accountant. I would also send CRA the copy of the election filed by your accountant in 2006. My question is do you pay taxes on the money saved from using the GST Quick Method? The Part 1 & 2 of the T2125 have lines iv - which are the difference between GST collected (line ii) and GST remitted (line iii). I have also read that the 1% credit on the first $30,000 in sales you are allowed to deduct from your GST remittance using the quick method should be claimed on line 8230 other income. Please let me know if you pay taxes on the money you save using the GST quick method. I moved your post here so you can see how this gets booked in QuickBooks. The difference is booked to a GST Revenue account and therefore is taxable. I went through a number of resources trying to find how to properly determine ITC for GST/HST Quick Method. CRA tells that only tax paid on CCA purchases can be added as ITC. This is Ok. However, they do not tell what portion of GST/HST can be used as ITC - full amount or only portion of HST of depreciation amount? I record this item as CCA class 50, say with 50% depreciation rate. (to make example simpler let's forget about the first year depreciation rule). So, at the end of year I will depreciate 50% computer cost before tax ($500). Then I need to calculate ITC for GST/HST return. Should I use full amount paid ($130.00) or should I use only HST portion for depreciated amount ($75.00) and next year use again corresponding depreciated HST amount etc.? I found zero information and zero examples about this though this is the scenario that is always the case for QM. You should go see your accountant or bookkeeper to help you file your GST return. ... but then consult with your bookkeeper / accountant to make sure you understood correctly. However, both links are quite general and useless. Even government brochure RC4058 Quick Method of Accounting for GST/HST" has much more info. Actually the brochure has everything what is needed including examples - it does not have only answer on my question. I already mentioned that before asking the question I went through numerous resources - there was no answer. Of course, my accountant was the first person to whom I came with this concern - but the accountant _does_not_know_ either despite it has all possible titles and years of experience. The accountant uses full HST amount (not depreciated portion) but was not able to answer why. It can be that CRA just never clarified it. I think that accounting is not area where we can rely on factor 'I believe it should be done this way...". There should be reliable reason/document for that 'believe'. Unfortunately, I found no answers until now. Perhaps, I am going to write to CRA and ask the source. Most likely they will respond with something general and useless but I simply cannot find anybody with such knowledge. I don't like the Quick Method. 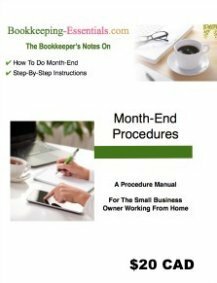 It is much easier and tidier to just do your bookkeeping and track the tax. You don't get to claim individual ITCs when using the Quick Method. There is a preset claim rate based on a percentage of your sales. - you provided a commercial service on the goods and then sold them, acting as an agent for the non-resident and collecting the GST/HST." Therefore without researching this further, and assuming you are not talking about a vehicle which has different rules, then just claim the GST / HST paid online 108 as Mr. Timmons explains in his post. So my advice is to just follow ALL the procedures in the reference I gave you to file your return. Return to GST/HST Quick Method.